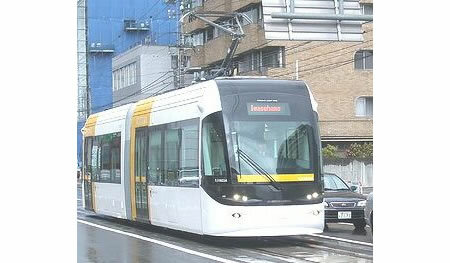 The streetcar powered by a lithium battery has been designed to be barrier-free and has a low floor. According to the institute, it uses about 10 percent less power than existing streetcars. In 1987, when the Japanese National Railways(JNR) was privatized and divided into seven Japan Railways(JR) companies, the Railway Technical Research Institute and the Railway Labor Science Institute were merged into one railway research center- the Railway Technical Research Institute. What size is the battery? That’s very important to know. What size is the tram? It looks a little stumpy in the photo….